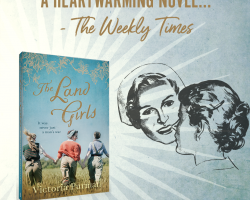 My national tour for “The Land Girls” will run during April, May and June. There are dates in South Australia, Queensland, New South Wales, the ACT and Victoria. Check out my Events page to see all the details. See you on the road!